My husband and I recently enjoyed a laid back date night filled with adventure, excitement, and exploration. 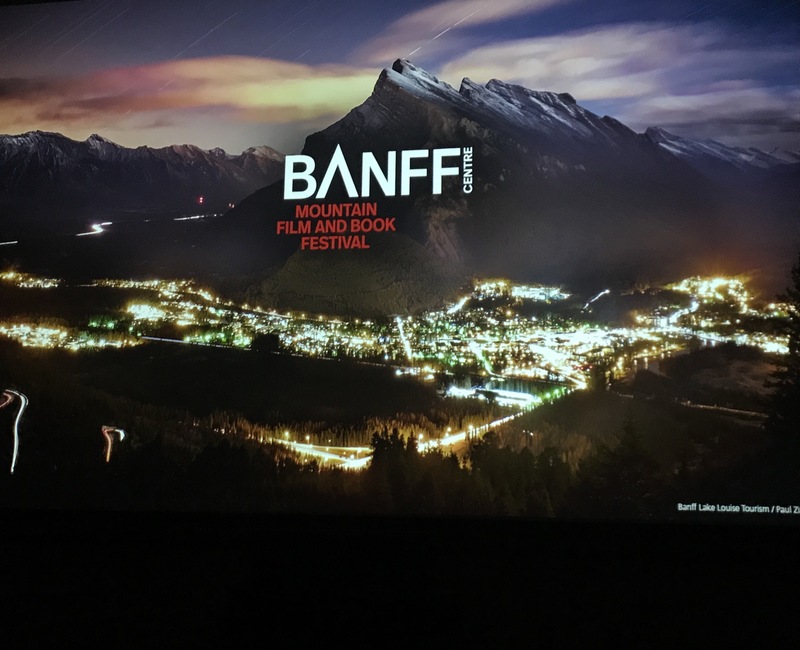 We attended the second evening of the Banff Mountain Film Festival. Originating from Banff, Alberta, this is an international film festival showcasing adventure films including extreme outdoor sports, and “mountain stories” usually mixed with different cultures, lifestyles, and ways of life. But they are not constrained to just the mountains. Some journeys take us to far off places like Patagonia and the oceans of the arctic. Loyola University hosts a stop on their tour and it’s easily accessible, with plenty of parking and no huge lines. You could buy your tickets in advance at local outdoor stores (REI, Princeton Sports, Earth Treks), or online. Once you’re there, you can enjoy a beautiful walk through Loyola’s campus on the way to the student center. We walked right in, a half hour before the start of the show and found front row seats. Perhaps it was a smaller crowd because it was the second night, but I suspect this festival is just not well known or appreciated enough yet. So many Baltimoreans are missing out! 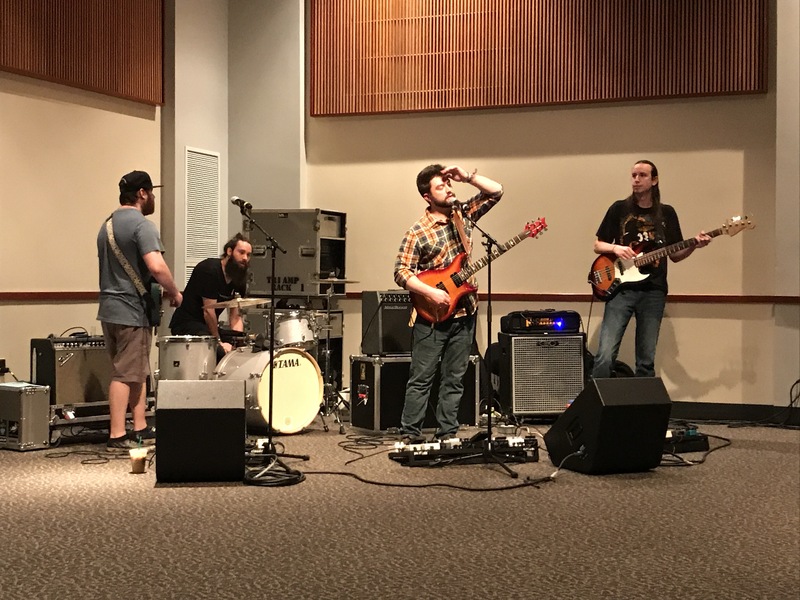 A live band played before the show and during intermission. They also had raffles and prizes to raise money for Loyola’s OutdoorAdventure Center. As for the films themselves, they are incredibly inspiring in terms of human character, grit, & determination but also in how they open your eyes to other ways of seeing the world. And you can’t leave without gaining a much greater sense of appreciation for our earth, it’s awesome beauty and the impressive environment in which we live. I am not what one would consider very outdoorsy, but I have always enjoyed this event, so don’t let your preference for glamping get in your way. I am no film aficionado, but the cinematography throughout each film was incredible eye candy with visually striking scenery that will leave you feeling closer and more connected to nature (or at least want to be). And if you think this all sounds way too serious and profound for a date night, a lot of the films provided a good bit of comedy and lightheartedness as well. Even the longform commercial in the beginning was such a work of visual art that even it earned applause. What better for a night out than an activity that inspires adventure and exploration and results in interesting conversation about how you want to live your life, your perpective on the world, and what level of risk and adventures you are open to? The festival comes around every year, so keep it in mind for next year or find out where their next stops on the tour will be. All the information you need can be found at www.banffcentre.ca/banff-mountain-film-book-festival. Logistical info: Tickets are $21 general admission in advance (students with ID $17) and at the door, after 6:30 PM, on the day of the show, $23 and students $19. We brought some food with us and they didn’t seem to care. They also sold candy, chips, & water for a dollar each.